Julie Christiansen OAM, Founder and Artistic Director of Voices of Birralee is well known for her compelling work with young voices throughout Australia. This includes her passion for encouraging boys to continue singing through their voice change and into their adult life. In 2006 Julie was awarded the Medal of the Order of Australia in the Queen's honors list for her service to the Australian community through music, particularly the development of children's and youth choirs at state and national level. Her choirs appear regularly at regional, state, national and international festivals and are acclaimed for their joyful vitality and quality of tone. Following studies in choral conducting at Queensland Conservatorium Julie continues to work with young people at all levels of experience in school and community ensembles. She is a popular guest clinician regarding vocal /choral techniques and literature for children's choirs and is regularly invited to conduct and present at choral festivals and educational workshops throughout Australia. In 2004 Julie joined the conducting team of Gondwana Choirs. Julie has toured extensively nationally and internationally with Birralee Voices, and has represented Australia at festivals in Cornwall, UK and Seoul, Korea, Canada and the USA. Paul Holley is a graduate of the Queensland Conservatorium of Music where he studied conducting with Dr John Nickson. He has had extensive experience directing school, church and community choirs. 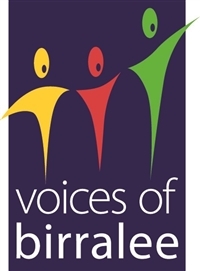 Presently Paul conducts two ensembles for the Voices of Birralee, The Birralee Blokes - the ABC Classic FM Choir of the Year - and Resonance of Birralee. In addition to these two ensembles he teaches choral music at Brisbane Girls Grammar School. 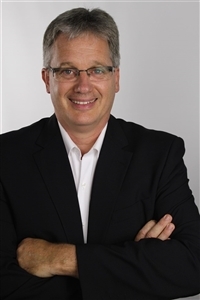 Paul is dedicated to excellence in choral education and regularly features as guest conductor/clinician at regional festivals, conferences and music competitions. In 2007 Paul joined the conducting team of Gondwana Choirs at their National Summer School. In 2007 was awarded a Lord Mayor's Australia Day Achievement Award for his services to the choral community in Brisbane.